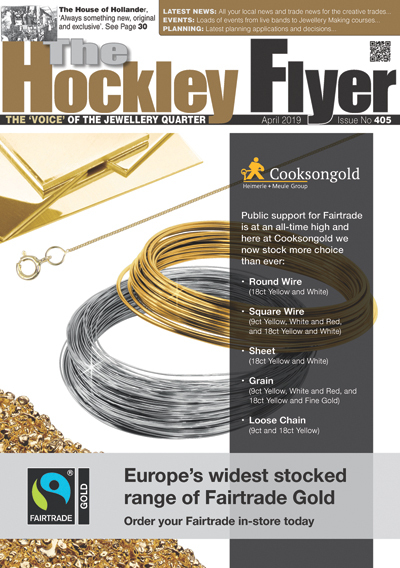 The latest developments from ROFIN’s laser marking experts have set new standards for perfection in jewellery marking and deep engraving, with the industry-proven EasyJewel. With the new enhanced mode, large engravings with immaculate surfaces and seamless circumferential designs become reality. The new enhanced mode now uses a continuous laser marking process, resulting in an absolutely consistent finish on engraving surfaces. Every jeweller who works with large designs or circumferential patterns will benefit greatly from the new enhanced mode. Enhanced mode is available as an add-on to the EasyJewel system. Switching between standard mode to enhanced mode requires just a mouse click. The new functionality has been thoroughly tested on a wide range of precious metals and alloys and will also work equally well on plastics and ceramics. With its EasyMark / EasyJewel family, ROFIN offers a range of leading desktop laser marking workstations for a wide range of applications – powered by industry-standard fibre laser sources and sophisticated laser marking software. ROFIN’s marking workstations place significant emphasis on rigid, high-quality mechanical design combined with smart handling systems. Mounting rings for external and internal marking is simplicity itself. Just a quarter turn on the ring fixture and the ring is securely located and centred. For asymmetric rings a flexible, adjustable second fixture offers arbitrary mounting positions. Switching from internal to external marking and even to flat marking, is achieved without the need for tools and is completed in a matter of seconds. 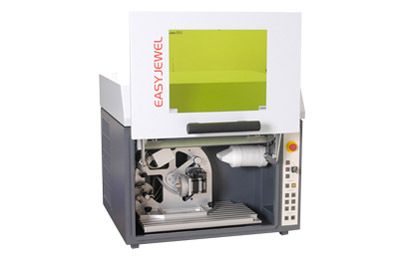 ROFIN‘s unique new laser marking feature is immediately available for any EasyJewel configuration and will be an integral part of the upcoming new EasyJewel model. ROFIN also offers a software upgrade for the many EasyJewel workstations already in the field. Please call your local Rofin office for detailed technical requirements.